bestuklivecasinos.co.uk is committed to ensuring that your privacy is protected and you can be assured that any information we gather on this site will only be used in accordance with this privacy statement. We will not sell or distribute any information that you will provide to us such as email address. bestuklivecasinos.co.uk may change the policy from time to time by updating this page. Do we collect any Personal data? No, we do not collect or keep any personal data like names, addresses, telephone numbers etc. The only data we collect is from the use of Google Analytics. When a visitor comes to our site we can see which parts of the site they visited or interacted with. This data is anonymous as we don;t know or hold any identifiable date for the specific visitor. It is only collected to check how our visitors are navigating through the site, which pages they visit and which external links they click. That way we can then provide our visitors a more user friendly site tailored their needs. This data will only be used by us and not shared with anyone else. 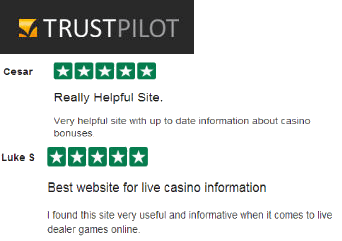 bestuklivecasinos.co.uk contains links to other websites which we are not responsible for. Once you have used these links to leave our site, you should note that we do not have any control over that other website. Therefore, we cannot be responsible for the protection and privacy of any information which you provide whilst visiting such sites and such sites are not governed by this privacy statement.